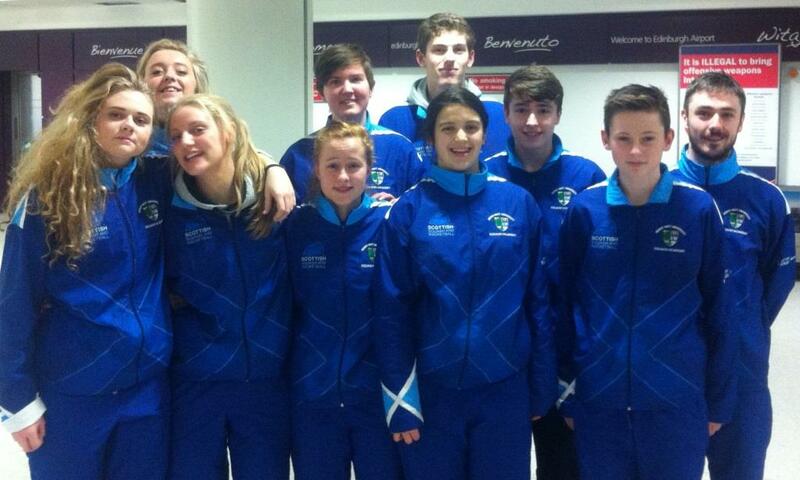 Nine Scottish players attended the French Junior Open in Lille over the weekend of 19-22 Feb. Having experienced some recent success at the Irish Junior Open in November and Scottish Junior Open in January, the French event was expected to be a much tougher prospect due to it’s status as an ESF Super Series event. These events traditionally attract the best players from around Europe (and beyond with some Egyptians and Americans making the trip) giving each age-group a level of strength and depth that they usually only face at the pinnacle event for the year – the European Team Championships. The squad, all members of the HWU Junior Academy, comprised Rory Stewart (BU19), Elspeth Young, Claire Gadsby, Kirsty Lobban and Carrie Hallam (all GU19), Emma Fitzsimmons (GU17), Alasdair Prott and Chris Murphy (both BU15) and Georgia Adderley (GU15). Carrie, Emma, Alasdair and Georgia all reached the quarter-finals with Carrie and Emma defeating higher seeded opposition in order to do so. Despite losing in the third round (last 16) it was perhaps Rory Stewart who came closest to progressing to the latter stages of an event. After cruising through his opening match Rory faced No.1 seed and local favourite, Benjamin Aubert. Rory lost 11/9, 11/8, 13/11 in an extremely competitive match lasting 71 minutes – a sign of the quality of squash by both players. With the match having already gone for over an hour, Rory was left frustrated that he couldn’t convert either of his game-balls at the end of the 3rd game, as he appeared to be coping with the pace of the game better than his opponent. Aubert went on to win the event with Rory winning his remaining three play-off matches to finish 9th overall. In the Girls U19 event, Carrie Hallam was the standout performer, beating 5/8 seed, Laura Gamblin (Fra), 3-2 in the last 16 to progress to the quarter-finals before she lost 3-0 to the No.1 seed, Tinne Gilis (Bel). Another fine performance in the 5-8 play-offs saw her narrowly lose 3-2 to Welsh Senior Internationalist, Jenny Haley, before she eventually finished 8th. Claire Gadsby lost to eventual winner Lucy Beecroft (Eng) in the last 16 before coming 12th. Elspeth Young was hampered by illness throughout the event but gradually improved with each match to finish 13th, while Kirsty Lobban was forced to pull out with an injury after losing 3-1 to another Welsh girl, Elin Harlow in a close first round match. Emma Fitzsimmons showed signs of her continuing progress when she took out 5/8 seed, Sarah Ludin (Switzerland), 3-0 and pushed 2nd seed, Stephanie Ryan (Ire), all the way in the quarter-finals, losing 11/8, 12/10, 7/11, 11/7 before ending the competition in 7th place. Alasdair Prott has already enjoyed plenty of success in ESF Super Series events this season, reaching the final of the Swiss Junior Open in December and quarter-finals in Belgium and the Czech Republic. After surviving an early scare in his first match, which he eventually won 3-2 from 2-1 down, he faced 2nd seed, Yannick Wilhelmi (Sui), in the quarter-finals. Alasdair played a fantastic match with some excellent squash by both players. After saving several match-balls in the 4th, to win that game 16/14, he was unable to maintain the same intensity in the fifth, eventually going down in 5 to the No.3 ranked player in Europe. Later the same day he showed great maturity in his game when he beat Conor Moran (Ire), slowing the pace down to frustrate his opponent and mixing this with some great counter-attacking. Alasdair eventually finished the event in 6th place. Scotland’s other entry in the BU15’s was Chris Murphy, who lost 3-1 in a tight first round match against an unseeded American. Chris then won his remaining 5 matches with ease to essentially win the plate, leaving him in 33rd position overall. Last but certainly not least was Georgia Adderley, who ended up in 5th place – the highest placed Scot in the tournament. 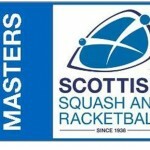 Having pushed the European No.1 to four games in the final of the Scottish Junior Open, Georgia yet again proved her outstanding potential with another series of fine performances. Her only defeat came in the quarter-finals against Alice Green (Eng), before she beat an Egyptian girl in 5 and Ellie McVeigh (Ire) who she played in the final of the Irish Junior Open. The squad was accompanied by Assistant National Coach, Stuart Crawford and Central RPN Head Coach, Phil McWilliams and provided our top juniors with some excellent matches ahead of the upcoming representative events that they will compete in over the next couple of months. The top 8 placings for Carrie, Emma, Georgia and Alasdair will also help their cause as they attempt to meet the selection criteria for the Commonwealth Youth Games in Samoa in September.